Cartridge Save has a mission to save you money and time on ink for HP C-6250 printers. At some time your HP C6250 will run out of printer ink, and when that does happen you'll quickly find that new HP C6250 ink can be seriously expensive. But you do not need to lose any sleep about coughing up the steep prices you'll find on the high street because now at Cartridge Save you can pick up all the HP C 6250 cartridges you'll ever want at low cost. Save a lot of money on your ink by ordering online with Cartridge Save! There's no point in forking out so much on the C-6250 original cartridge or C6250 compatible ink in the high street when it is much more straight forward to save a handful of money shopping online with Cartridge Save. Get utter peace of mind when ordering PhotoSmart C6250 ink cartridges from us because every one is protected by a quibble-free money back guarantee. Be mindful of the fact that each and every order also has free delivery, normally arriving the next working day! The HP Photosmart C6250 is an affordable solution for a small office in need of a good multifunction device for average printing needs. It is a colour printer, scanner, and copier in one that can handle a wide array of media. The HP Photosmart C6250 prints at an impressive resolution of up to 4800x1200dpi; monochrome resolution reaches up to 1200x1200dpi. It is one of the cheaper multifunction alternatives, although it does not support networking and lacks faxing capabilities as well. The HP Photosmart C6250 boasts a compact design that fits any desktop space. It has the flatbed scanner on the top panel, to the left of which is the LCD display for previewing pictures and toggling through different options. The control buttons are neatly lined up across the edge, while the memory card slots are on the front right, near the paper tray and auto duplexer. The HP Photosmart C6250 is compatible with Mac and Windows computers. A USB port is also at hand for single computer connection, while the card readers allow PC-less operation. The HP Photosmart C6250 has a 48-bit colour scanner that scans at an impressive resolution of up to 4800x4800dpi. 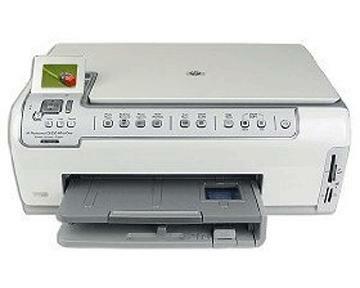 The HP Photosmart C6250 is an old model that can easily be outshined by more advanced MFPs. It lacks the versatility of a fax-capable and wireless all-in-one, but is still a reliable solution for small offices and homes with its monthly duty cycle of 3,000 impressions.